A thermometer is a device that measures temperature or temperature gradient using a variety of different principles. 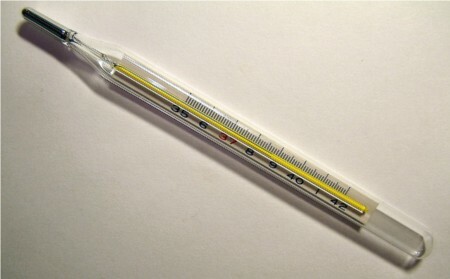 A thermometer has two important elements: the bulb on a mercury thermometer in which some physical change occurs with temperature and an absolute thermodynamic temperature scale which aids in measuring the temperature level. The thermometer was not a single invention, however, but a development.